« What Should a Nikon V4 Be Like? 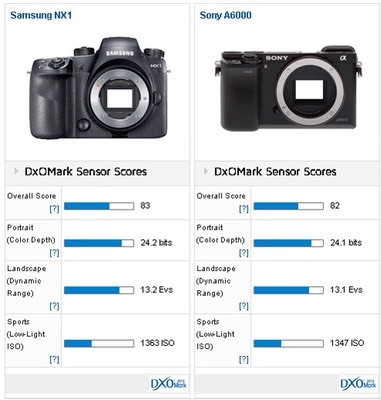 DxOMark published their ratings for the Samsung NX1 camera. Already the Internets are alive with repeats of the “new king of APS mirrorless” headline. Methinks the king will probably live only as long as one who sits in the Iron Throne in Westeros. Moreover, as in Kings Landing, can you tell one King from another? I’ll remind folk that DxO’s “overall score” is a made up composite of slightly unclear derivation. An 83 (the NX1 mark) versus an 82 (the Sony A6000 mark) is, in my view, not outside of margin of error when all is said and done. More telling is that a far earlier camera, the NEX-7, has a higher Landscape Dynamic Range score from DxO than the NX1 does. There’s no doubt that the NX1 is state-of-the-art in terms of APS sensor mirrorless cameras. I think I wrote that in my review ;~). But using superlatives in headlines and commentary about the NX1’s mark versus other cameras is over the top. Quite frankly, since we got to the 24mp sensors, there hasn’t been a lot to distinguish between them. Yes, I can find small differences if I really test with great precision and depth. But realistically, things like how the data is encoded (both JPEG and raw) are more telling. I’d prefer the NX1 raws over the A6000 raws simply because of Sony’s compression scheme, which introduces potential problems in the underlying data. I’d prefer Sony’s JPEGs over Samsung’s as it appears that Sony’s encoding is a bit more mature and flattering than Samsung’s. But in each case, the difference is small enough that I’d be far more interested in the handling of the camera, the focus performance, and the lenses that are available than the sensor’s implied image quality via test results. Just saying. One king is just like another these days. If you’re choosing cameras based upon test scores for sensors, you’re picking at straws. We’re already at a stage in mirrorless where image quality isn’t the primary factor I’d be using to decide between brands/models. Put another way: we’re in a mature market. Small differences will be trumpeted by marketing departments, but you should be listening for something other than trumpets. Don’t get me wrong: I like the NX1. Very nice camera. Also a big camera, and the lenses that really deliver on the sensor’s performance are big, too. The way I see the NX1/A6000 difference is in size/weight/handling, not in image quality. Some will prefer the more DSLR-like NX1, some will prefer the more svelte A6000. DxOMark scores don’t even enter the picture.